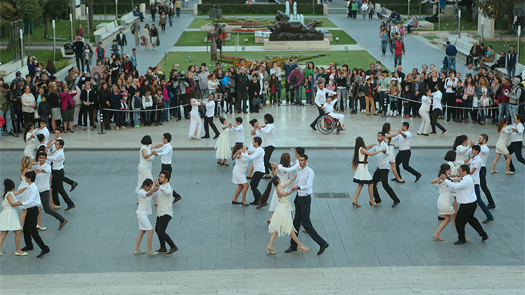 The flash mob is part of a winning Alumni Engagement Innovation Fund (AEIF) project titled “Unlimited Movement” led by a team of five Armenian exchange alumni. 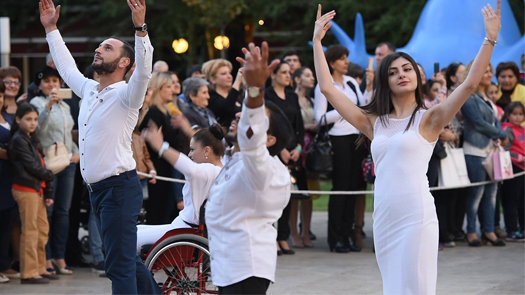 The project aims to address the challenges that children and youth with physical and mental disabilities face in today’s society in Armenia. In addition to the flash mob, the team also created a film about animal therapy in healing and helping people with disabilities. 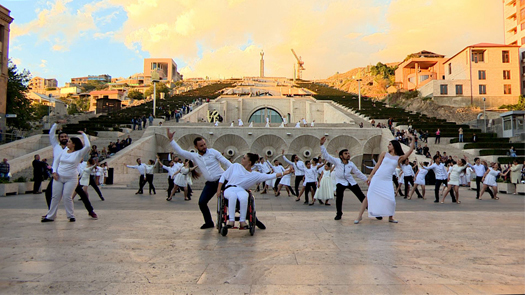 Ultimately, the alumni team’s Unlimited Movement project aims to promote physical and artistic freedom among people living with disabilities and encourage their integration into society.